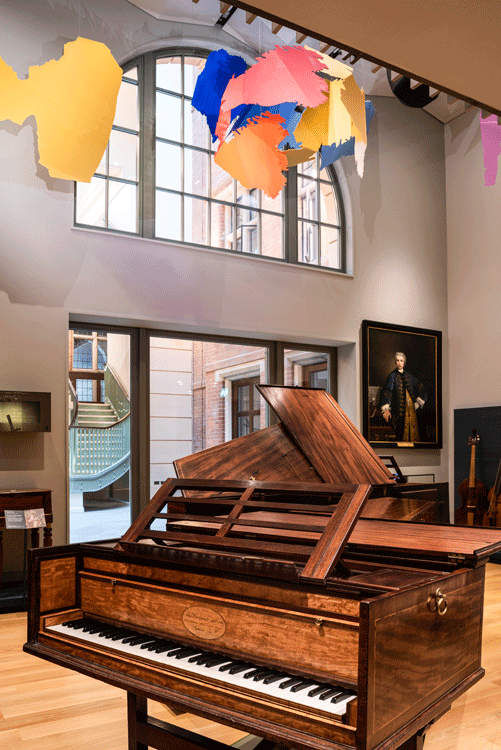 The Royal College of Music was founded in 1882 and is a world leading conservatoire training gifted students from all over the world as performers, conductors and composers. The two original buildings of the College were designed by Arthur Blomfield and Sidney Smith following a coherent hierarchy between public areas and private teaching rooms. As the RCM has expanded it has however become constrained by later piecemeal additions from the 1960s and 1970s. The proposed scheme addresses these constraints and is centred on a new external Quad at ground level, accessed from an enlarged Entrance Hall and a new triple-height foyer, which will form the heart of the new master plan. The new project includes: two new multi-functional performance venues; a new home for the Museum of Music, which boasts one of the most significant collections of historic musical instruments in the world; new communal spaces for audiences with cafe-bar and restaurant facilities, as well as new digital recording studio facilities and additional practice and teaching rooms for the College. 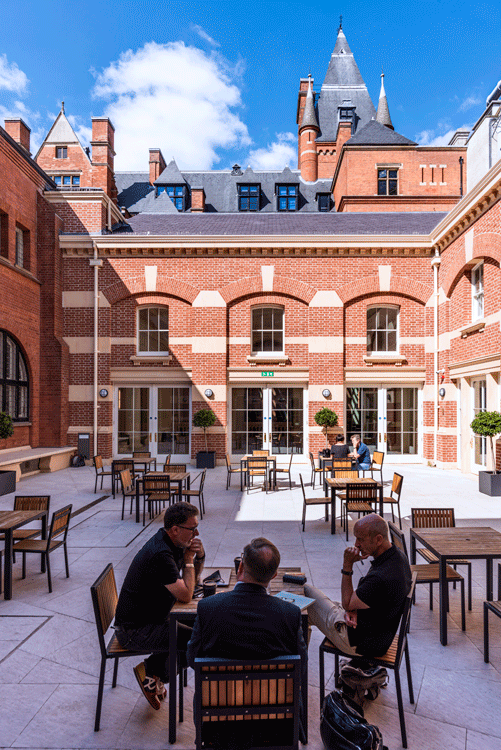 The redevelopment of the RCM estate is designed to integrate the College’s buildings more closely with its surroundings, making the most of its unique location opposite the Royal Albert Hall, which was specifically selected for the College by the Prince Consort himself when he designed the master plan for ‘Albertopolis’. 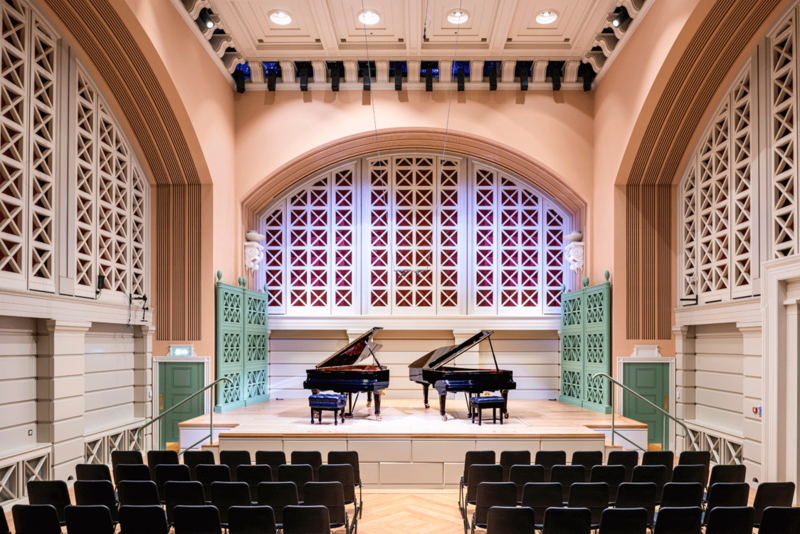 The design builds on the heritage and traditions of the Royal College of Music, fashioning an environment which is architecturally harmonious and timeless, with a balance between indoor and outdoor spaces. 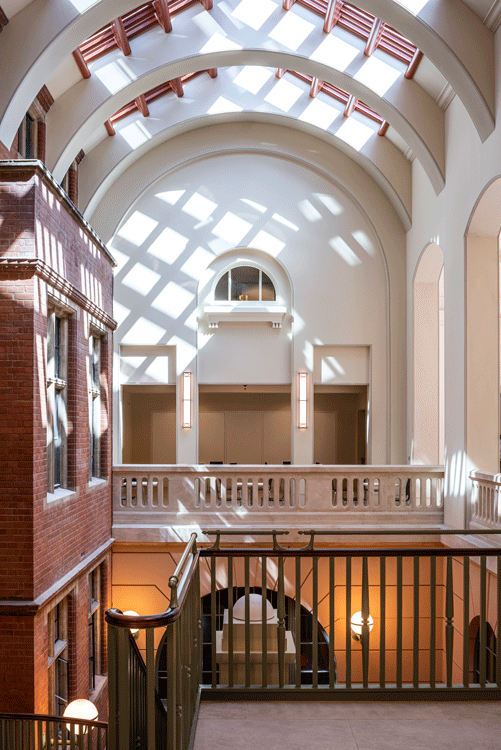 The new architecture will blend seamlessly with the much loved architecture of Blomfield and Smith and make good the circulation for the first time since originally built. New communal spaces will address the existing changes in floor-levels and provide step-free access between new and existing spaces so that all visitors and students can find their way around the College with ease. The new state-of-the-art performance spaces will be designed to include recording facilities to enable multi-media broadcasts which will underpin and enhance further the College’s global reach in teaching music. The scheme will enhance the College’s status as one of the premier destinations for world-class music education; strengthen the RCM as a cultural venue of national and international significance; and create a greatly enhanced environment that inspires students, professors, visiting musicians and the tens of thousands of visitors who come and support the RCM each year. Public consultation has been carried out with the local community prior to the submission of the Planning and the Listed Building Consent applications in June 2015. It is anticipated that the two year building programme could commence as early as 2016 for completion in 2018. The Vision. 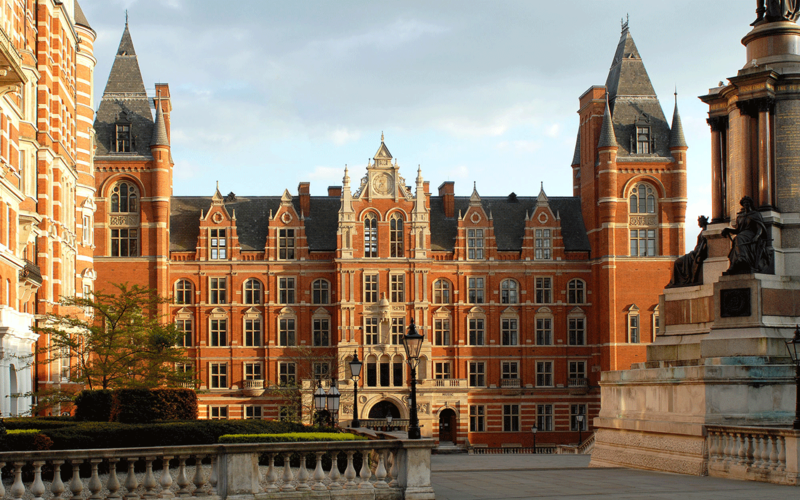 The Royal College of Music plans to transform its building in the heart of London's South Kensington.